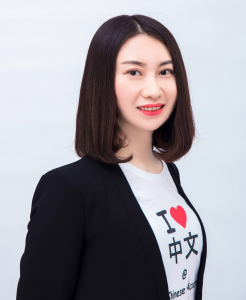 Nihao, I am Julia Yang, Founder of Link Chinese Academy (LCA), London’s premier Immersion Chinese School, existing since 2003. In 2003, armed with nothing but an obsession for teaching Chinese language, I started teaching two students at a local community centre, which later became very popular and ultimately led to the start of LCA Journey. Now, with over 400 students every week, we have become the ‘London’s most trusted Chinese education brand’. I now look back and couldn’t be more satisfied with my achievements as a budding female entrepreneur but the hunger for further success motivates me every single day. I am now a proud Mother of two children: Jay (6 years) and Bella (3 years), who are enthusiastic students of LCA, who inspire me every day and help me in developing our future courses, making LCA a family run business for families. Our current strategy has put the children (1 -14 years) at the heart of our business. we are extremely proud of our “Original LCA Content”; age specific curriculum to nurture not just the language skills but very closely aligned with child’s cross-cultural communication skills. We recruit and train the best teachers so you can be certain that your child is receiving the highest quality teaching and care whichever campuses they attend. I would like to see LCA reach further areas around and outside London and we aspire to be ‘ UK’s most trusted brand for children’s Chinese education’, something which will be achievable with your continuous support. We’ve had two teachers, both great with the children. Our 2.5 year old daughter really enjoys learning through songs and crafts. As a non-Mandarin speaking parent, I also enjoy learning with my daughter. Both our son and daughter currently attend Link Chinese Academy. Our son has been going for over 3 years and our daughter just started this year. The teachers they’ve had have been absolutely fantastic. Great with kids, caring and make a real effort to teach while making things fun. I would 100% recommend to any parent.